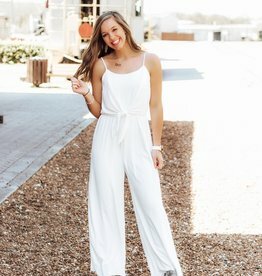 These beautiful jumpsuit is such a trendy way to welcome spring days! Featuring a stylish white and black color detail. This is the PERFECT outfit for dressing like a Boss Babe. There are No Rules when wearing this adorable jumpsuit! 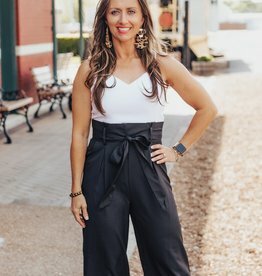 This beautifully casual jumpsuit is perfect for Starbucks runs and days of shopping! The trendy camo pattern is such a fantastic choice for spring - this unique look is always in style! This gorgeous jumpsuit is the sweetest look for summer nights! This darling style features white print for a statement style! The material is lightweight and so wonderfully soft, making it the perfect choice for any summer event! 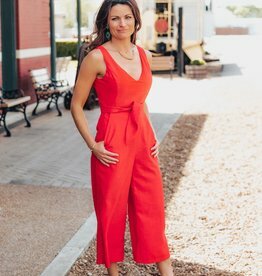 This beautiful jumpsuit is perfect for any spring/summer event! We love the amazingly comfortable material - you'll want to stay all day in this comfy look! The beautiful navy material is such a lovely choice for any season. Blue is just one of those classic colors that go with everything. We love how Timeless this jumpsuit looks in classic dusty blue with the peplum detail. You can match this with anything this summer and Love your look even more!